Home > Tips > Are Meat By-Products Bad for Your Cats? When you read “meat by-products” on your cat’s food, do you automatically think of it as garbage? At Fluffy Kitty, we decided to investigate this ingredient used in most supermarket brands and premium brands of cat kibbles. We want to know exactly what those “meat by-products” were in order to understand the potential effect on our little beasts. We discovered some surprising facts about meat-by products that explain why everyone is so “scared” by them. How Are Meat By-Products Used in the Pet Industry? On the other hand, the term “meal” often added to those meat or poultry by-products simply signifies that it is the same thing but in rendered form = elimination of water and fat to obtain a concentrated mix of protein and minerals (some kind of powder). Definition provided by the AAFCO, association of local, state and federal agencies charged by law to regulate the sale and distribution of animal feeds and animal drug remedies. 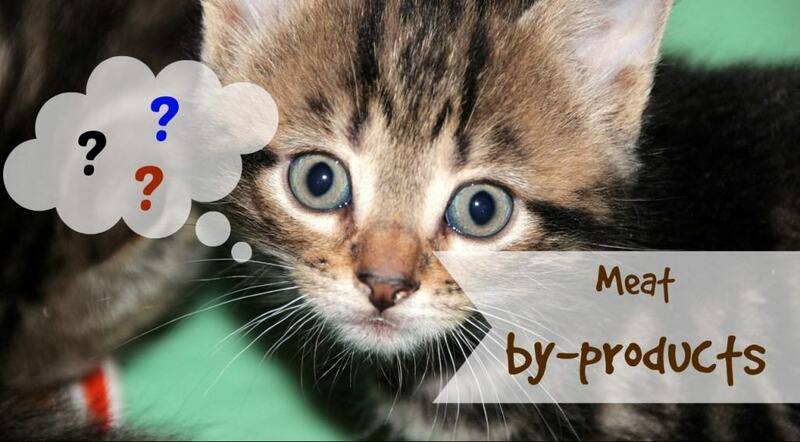 Theory VS Reality: Are meat by-products bad for your cats? In theory, then, it seems that those by-products can be very useful for our fluffy friends (as long as it is not the only meat-related ingredient in the food you choose). For example, having bones in your cat’s meal is a good thing as it provides him with calcium and phosphorus. A bone is a bone, whether it’s from chicken feet or chicken wings it is nutritionally-speaking the same! Organs like liver, spleen, kidneys or heart all contain great nutrients for your cat. Even intestines! From the definition, they are supposed to be cleaned, so they should not contain any kind of feces anymore. (By the way in France, intestines are a real delicacy for the food gourmet, so you see that even for us humans, those “weird” foods aren’t that bad after all). It is extremely difficult to know the quality of the products used by the manufacturer of your cat’s food. How do you know for sure that the by-product is a healthy mix of healthy organs and bones and not just 95% of old chicken feet? Is it free of contaminants? If you can answer those questions, you will be able to evaluate the quality of the meat by-product you are feeding your cat! How to really evaluate the quality of a meat by-product? When your little hunter makes a kill in the wild, what do you think he eats? Yep, you guessed that right! In nature, there is no such thing as a cat eating in a nice bowl and dining very carefully and tasting the best part of the animal he just butchered. He just “goes for it” and eats whatever will bring him the proteins, nutrients, and anything he needs to remain healthy! Cats are for the most part strong animals, with a strong body designed to hunt and resist to the roughness of mother nature. Although you have a right to be picky about his food, you should also understand that there is no need to drag your decision forever about finding the right food. At Fluffy Kitty, we do not believe in the alarmist conspiracy theories about the pet industry. We know each and every pet manufacturer out there wants to make money but we also know that some of them actually care about the products that they make. If they cause problems for your cat, how likely is it that you are going to buy their product again? Moreover, those same manufacturers noticed that people became more and more educated about the importance of good nutrition for cats, so they are slowly starting to produce better foods at a higher quality. Several brands developed products around a healthier formula with healthier and more natural ingredients. Some examples of superb premium-quality cat food brands include: Taste of the Wild, Blue Buffalo, Wellness Core, Orijen, etc., are amongst the top quality manufacturers and we trust those companies to provide the best food quality possible for your cat (we are not sponsored, this is our honest opinion). They simply provide real meat ingredients, no corn, wheat, soy, or other low-quality filler ingredients and provide a variety of healthy veggies, fruits, and super antioxidants to supercharge your cats food. You can tell that these brands go above and beyond compared to their low-quality competitors such as Meow Mix (which does not provide all this goodness). Bottom line: Are meat by-products dangerous for your cats? This is not to say that you should completely avoid meat by-products. Just make sure that they are secondary or third in your cat’s diet and that “real meat” is the actual main ingredient in your cat’s food. Our preference for meat over by-products is simply cultural, as anyone who has traveled extensively can attest to. I guess that’s the reason why it is a common misconception that all meat by-products are terrible for your cat. 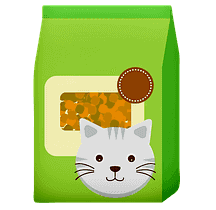 We agree with you, it is very difficult to read pet food labels but it is also possible to find a great product that respects your cat’s needs. here will always be bad guys out there producing bad products but we believe it is possible to identify and avoid them. When you have the right information, you are actually free to decide to choose the best for your pet. 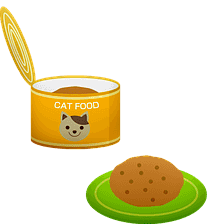 Finally, if you do not trust the products available out there, you could also consider making your own cat food! It will take more time but if you want what is best for your cat, this will be a must for your feline friends. Dr. Marie of Ask A Vet Question. Yes. About time some explained that meat by products isn’t always bad. People only want to feed their cats raw meat muscle and forget that in the wild they eat other parts. Also, I think having cooked cat food is better for us humans. I know I’m supposed to think about the cat all the time but I don’t want him licking me after eating raw meat. Yes – and while raw is better in general, not all cats will eat it! Our Yoda probably wouldn’t know what to do with a raw piece of meat. Plus, cooking it makes sure its devoid of potential bacteria. Thanks for your comment!